One of last year’s most absurd and popular PC releases was Goat Simulator, a game where, unsurpsingly, you play as a goat and wreak havoc on unsuspecting humans with your jumping and headbutting skills. Points are awarded for how creative players can be in their destruction. If you missed the original release, or you’re not a PC gamer, don’t despair. Double Eleven announced last week that they were pairing with the game’s original developers, Coffee Stain Studios, to bring the goatiness to Xbox One and Xbox 360 in April this year. 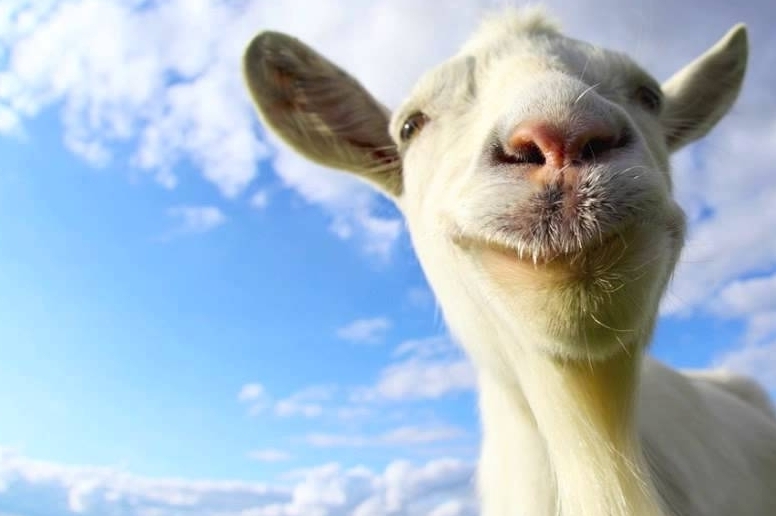 Although no specific date in April has been announced so far, the PC version ofGoat Simulator was released on April Fools’ Day, so it might not be too surprising if the Xbox version showed up on the one-year anniversary of the game. Goat Simulator’s charm comes in part from the bugs that were deliberately left in. Coffee Stain Studios fixed the crash-bugs but left everything else “to ensure a well-rounded, realistic experience of life as a goat”.